No matter how long we've been in church, most of us only have a vague idea of what the Bible is really about. We feel like we should know more, but we're not sure where to start. This summer at FUMC, we have a place to start! Click below to view my personal video message about "The Story of God" Worship series. 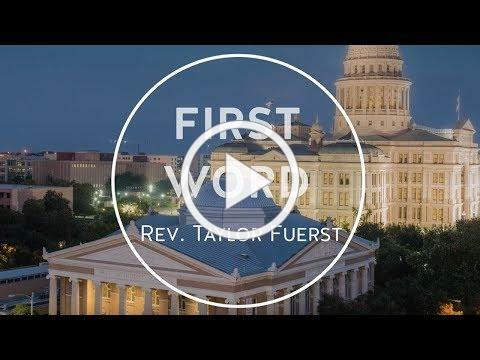 Also, check out www.fumcaustin.org/storyofgod for resources throughout the summer. Please plan to join us on May 27 in Worship as we begin "The Story of God." Click image above to view video.